ATLANTA (AP) — Just months ago, disaster planners simulated a Category 4 hurricane strike alarmingly similar to the real-word scenario now unfolding on a dangerously vulnerable stretch of the East Coast. The simulated hurricane knocked out power for most gas stations in the Mid-Atlantic region, damaged a nuclear power plant and sent debris into major shipping channels, among other problems, according to a Department of Energy simulation manual. Florence is also a Category 4 storm and is now forecast to strike the same general area. On Tuesday, the National Hurricane Center’s “cone” displaying Florence’s projected path included the Hampton Roads, Virginia, region where Cora supposedly made landfall. Senior leaders from the White House, along with more than 91 federal departments and agencies, participated in the “national level exercise” in late April and early May, FEMA said. The fictional storm made landfall in the heavily populated Hampton Roads region, bringing a 15-foot (0.3 meter) storm surge and up to 9 inches (23 centimeters) of rain to some areas within the first six hours. That cut off main routes — used for escape as well as for rescuers — in the Hampton Roads area and elsewhere. In the scenario, Cora also slammed hurricane-force winds into three nuclear power stations. One was damaged. Thirty-three major power substations were at risk from storm surge and major flooding. Key roads and bridges were also damaged, and debris blocked the Newport News Channel and other waterways. Coast Guard Station Cape Charles lost power, and Coast Guard Station Chincoteague was severely damaged by high winds. The ferocious fictional storm also damaged and closed Reagan National Airport in Washington. The make-believe hurricane threatened hundreds of cell towers, and the area where power was knocked out included 135 data centers in Virginia and another 60 in Maryland. The Cora scenario projected hurricane-force winds inflicting “catastrophic damage” to homes and significant damage to critical infrastructure within a 50-mile radius of the hurricane’s center. The manual makes no mention of deaths and injuries, focusing instead on infrastructure. Another striking similarity between the scenario and Hurricane Florence’s path: already saturated ground on that part of the Mid-Atlantic coast. 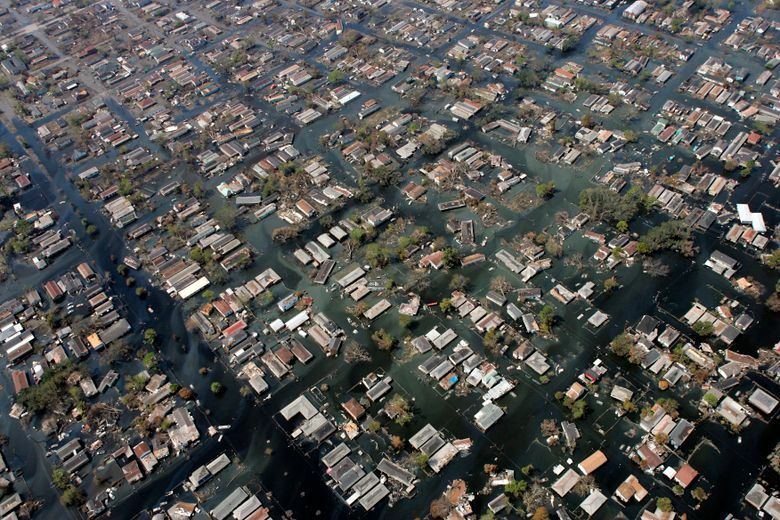 If parts of the East Coast are deluged with water, it could result in a catastrophe on the scale of Katrina, Behr said. And recovering from a disaster in the Hampton Roads region would also parallel Katrina’s aftermath, he added. Evacuation is known to be challenging in Hampton Roads, a coastal region inhabited by 1.7 million people in cities such as Norfolk, Virginia, and Virginia Beach. In Charleston, South Carolina, where the average elevation is only around 11 feet (3.4 meters) above sea level, storm surge and flooding from a hurricane’s drenching rain has the same effect — cutting off access, said Norman Levine, an associate professor at the College of Charleston. 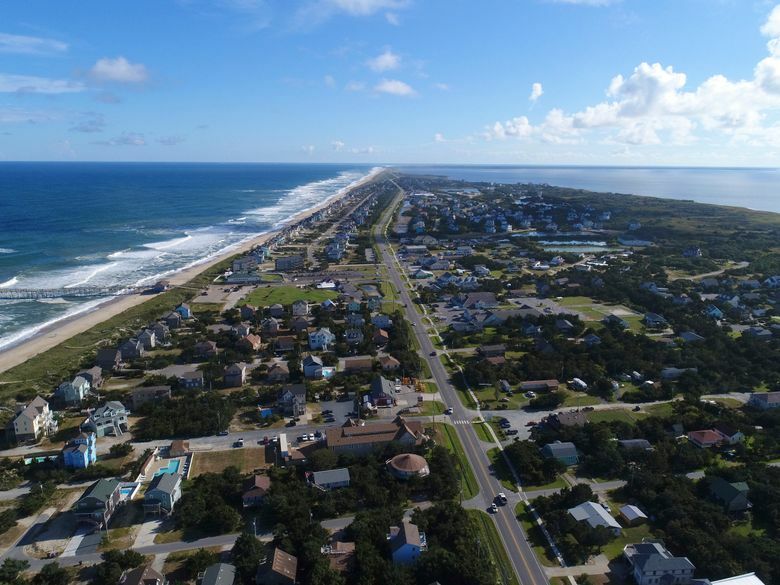 “It inundates roads, and it ends up reaching the point where you become isolated little sea island communities,” he said.